It’s been the third rail of Russian politics for years, if not decades, but now an increasingly fragile economy appears to have forced the Kremlin to finally reckon with the country’s pension crisis. Russia’s pension system — strained by a low retirement age, low life expectancy, and a shrinking population — could soon see its biggest reforms since the Soviet collapse. It’s a move that is politically dangerous even for someone as popular as President Vladimir Putin, but which experts warn is essential to staving off a major fiscal crisis. Since Putin’s election to a fourth term in March, a growing number of government officials have publicly hinted that reforms are coming to the social-welfare system, which currently allows for the lowest retirement age of any developed country: 55 for women and 60 for men. Just two weeks before he was renominated to be prime minister, Dmitry Medvedev himself suggested that the issue was being discussed. 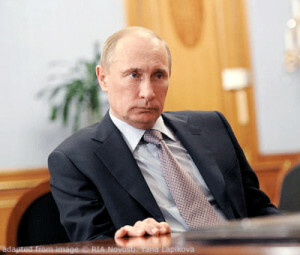 It is highly unlikely that Medvedev would publicly address such a controversial move without Putin’s blessing. That discussion is under way so soon after the four-term president’s reelection is telling both of his own future and the fate of the country’s retirement ages. “If you’re going to do something really unpopular, you do it right after the election,” she says. Russia’s pension problem is symptomatic of the country’s bigger demographic problem, according to experts. In the 15 years following the Soviet collapse, the population dropped by roughly 5 million people, a decline that is nearly unparalleled among developed countries. Since then, the population has stabilized at just over 140 million and even ticked upward slightly in recent years. The overall trend remains downward, however. That means a smaller workforce, which means less money coming into the pension system. It also reflects the aging population, where there are more retired people receiving state pensions than there are younger people whose salaries help replenish the pension coffers. Demographic forecasters say that by 2036, the number of retirees in Russia will be twice as high as the number of people in the workforce. Already, the system is under stress. According to the newspaper Kommersant, the Russian Pension Fund — the formal name of the system — can currently only pay 60 percent of its obligations to current pensioners. The shortfall is increasingly covered from the regular government budget. That someone as popular as Putin has been loathe to tackle pension reform is a reflection of how politically dangerous the issue is. In 2005, during the last overhaul of the country’s social-welfare system, the government replaced some government-subsidized benefits, such as free medicine and public transportation, with cash stipends. The change sent thousands, possibly millions, into the streets, prompting retirees and others to block highways, protest outside administration buildings, and hurl invective at officials across the country. Part of that is linked to the country’s low life expectancy. 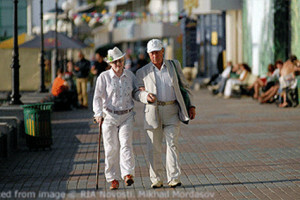 For Russian men, it was as low as 59 until recent years, though it has improved. Still, as Korobkov notes, if you’re a Russian man and you’re only going to be able to enjoy a year or two of a state pension before dying, it’s natural you’d be opposed to any increase in the retirement age — all the more since pensions are relatively low in Russia. A more recent example of how emotional the subject of pensions is came in 2016 when Medvedev visited the Black Sea peninsula of Crimea, which was seized from Ukraine two years earlier. He was confronted by an angry crowd of older people demanding to know when their pensions would increase. During his May 7 inauguration speech, Putin focused largely on domestic issues — in contrast to his more bellicose address to the nation during the campaign — and he repeatedly spoke of the need for economic and technological breakthroughs. In a decree setting targets for the next six years, he indicated that the priorities are increasing pensions, cutting the poverty rate, and boosting life expectancy, which continues to be among the lowest of developed countries. There was no mention of pension reform. However, a strong indication that reforms are finally happening would be the reemergence of former Finance Minister Aleksei Kudrin, who reportedly could be poised to return to the government. Known for his conservative budgeting and heralded for the creation of rainy-day slush funds to cushion fiscal problems, Kudrin has long championed an increase in the retirement age. Among the proposals that have been floated in the Russian press, the two main ideas both call for a gradual raising of the retirement ages. They differ in the speed of the increase and whether it will be 65 for both men and women or 63 for women and 65 for men. “If we don’t raise taxes or the retirement age, then we will have a hard time improving the quality of health care and social services and pension levels,” Economy Minister Maksim Oreshkin said in an interview on state TV in March. Complicating matters is how Putin moves to improve living standards: It costs money to improve health care so people live longer. But the longer people live, the more that will have to be paid out for pensions over time. According to the United Nations, Russians currently can expect to live to an average of 72 years: 67 for men and 77 for women. How quickly these changes go into effect is also tied to Putin’s overall popularity and how the Kremlin sees his legitimacy — not just as president but as a “vozhd,” a Russian term that has been attached to historic leaders like Stalin and Lenin.